This week’s events showcase Native American, international, Western, and Cajun cultures and the astronomical and physical sciences. The OKC Theatre Company hosts the 3rd Annual Native American New Play Festival from June 1st through the 10th. 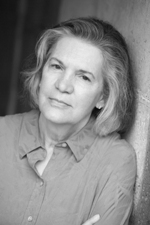 This year’s featured play is “Salvage” by Diane Glancy. Performances of “Salvage” continue through June 9th in the CitySpace theatre of the Civic Center Music Hall in Oklahoma City. Set in Cut Bank, Montana, the play explores the relationship between two families in the aftermath of a tragic car accident. Glancy has won several awards including an American Book Award and the Five Civilized Tribes Playwriting Prize. Stage readings of finalists for next year’s festival on June 10th include "Chalk in the Rain" by Bret Jones; "Broken Heart Land" by Vicki Lynn Mooney; and "Waaxe's Law" by Mary Kathryn Nagle. Visions In The Paseo Art Gallery welcomes the work of two photographers for its next exhibit “War and Peace.” Severe weather photographer David Mayhew and National Geographic photographer Greg Davis showcase their respective specialties; capturing natural meteorological phenomenon and recording various international cultures. Mayhew regularly joins storm chasers as they scour Tornado Alley, resulting in a portfolio of lightning, wall clouds, and skyscapes. Davis’ pictures were taken in a dozen countries around the world including Burma, Morocco, and China. The opening reception takes place during the monthly Paseo Arts District Gallery Walk on June 1st from 6:00 to 10:00 p.m. The photographs are on display through July 4th. Western history and Cajun style come together for the Chisholm Trail Crawfish Festival at the Kirkpatrick Family Farm in Yukon. Cowboys used the trail to move cattle from ranches in Texas to trading posts and railways in Kansas during the latter half of the 1800s, and it traveled through what is now the town of Yukon. The festival includes living history reenactments, pony rides, a crawfish-eating contest, Kids Kreative Korral, a mechanical bull, live music, and more. Festivities begin at 10:00 a.m. this Saturday, June 2nd. Science Museum Oklahoma offers a chance to see a rare astrological event up-close on June 5th. The Oklahoma City Astronomy Club and the museum’s planetarium staff set up special telescopes in the Southeast corner of the museum’s parking lot in Oklahoma City to witness the “Transit of Venus.” Stargazers and the general public have the unique opportunity to see the planet Venus cross directly in front of the sun from 5:00 to 8:15 p.m. After sunset, the planet can no longer be seen. The next transit visible in Oklahoma occurs in 2125. There are also some outdoor concerts this weekend in the metro area. The Black Liberated Arts Center presents the Charlie Christian International Music Festival through June 3rd with the main performances at the Metro Tech Amphitheater in Oklahoma City this Friday and Saturday. The band Overdrive kicks off the Summer Nights: Music in the Park concert series in the Buck Thomas Park in Moore. The performance begins at 7:00 p.m. on June 1st with a concert every Friday through June 29th. The 2012 Sunday Twilight Concert Series at the Great Lawn Stage of the Myriad Gardens is in its 32nd year. Top 40 cover band Urban Addiction performs June 3rd at 7:30 p.m. Musical acts of all genres take the stage every Sunday through August 26th. For more information and events, visit the calendar page.